This weekend, my brother and I shared a delicious bowl of dal from Ananda Fuara, a vegetarian restaurant in San Francisco. Afterward, while chatting and hiking along the cliffs at Land’s End, we discussed the finer points of a good dal. “There is a fine line between dal and soup,” he told me. Stray too much from traditional ingredients and technique, and you’ll end up with something that just kinda tastes like, well, hippie food. 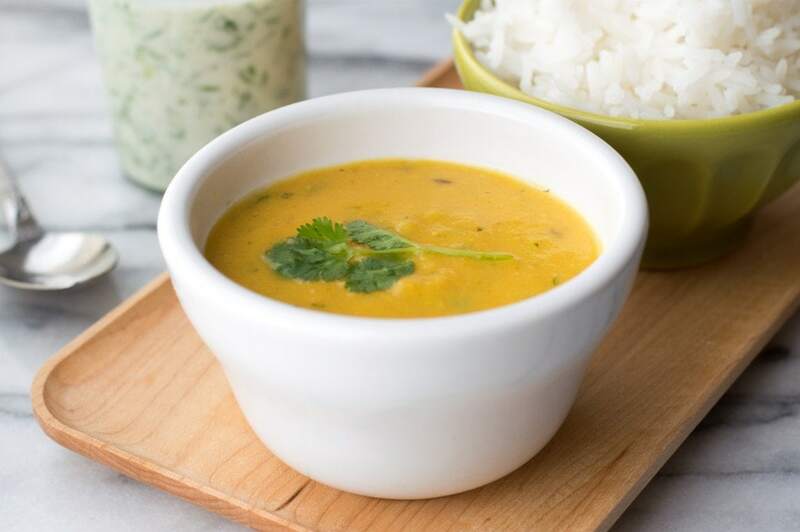 Dal and a typical lentil soup differ greatly in preparation, and you really can taste the difference. With a typical soup, you’ll sauté some mirepoix, add lentils and water, then let everything simmer together ’til the lentils are cooked through. Dal requires the extra step of frying the spices and onions separately while the lentils simmer in another pot. Taking the time to toast the spices, and to brown the onions and garlic thoroughly creates layers of flavor you simply can’t achieve with a one-pot recipe. This warming, well-spiced dish of dal is the perfect comfort food. Soft, simmered red lentils are blended with browned onions and aromatics, and a handful of cilantro is stirred in at the last minute to add a pop of freshness. Jalapeño and cayenne pepper add a moderate amount of heat, just enough that you’ll notice their presence. 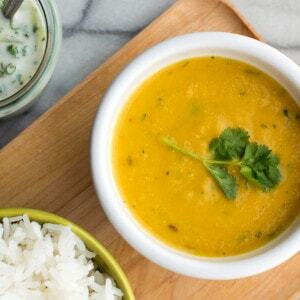 With a dollop of cool raita on top and steamed rice on the side, you’ve got a complete, nutritious vegetarian meal, full of satisfying flavors and textures. Simmered lentils combine with onions and spices in this savory, deeply-flavored vegetarian dish. In a medium (2-quart) saucepan, cover the lentils with water by two inches. Let soak for one hour. Drain and rinse the lentils, then return them to the saucepan, along with three cups of water. 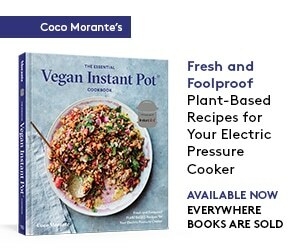 Bring up to a simmer over medium heat, then turn down to low and let simmer, covered, just until the lentils begin to fall apart, about 20 minutes. Turn off the heat and set aside. While the lentils are simmering, heat the oil in a medium (11-inch) skillet over medium-high heat. When the oil begins to shimmer, add the cumin seeds and toast until brown and fragrant, about one minute. Add the onion, garlic, and jalapeño to the skillet, and sauté until the onions are well-browned, about 20 minutes. Add the tomato to the skillet, along with the coriander, turmeric, and cayenne pepper. Sauté another five minutes, until tomatoes are beginning to soften and there is no liquid on the bottom of the pan. Add the sautéed mixture to the pot with the lentils. Add the butter and salt, then process with an immersion blender until smooth. Turn off the heat and stir in the cilantro. Serve alongside steamed long-grain rice and cucumber raita for a vegetarian meal, or as a soup course if desired. In a small mixing bowl, stir all of the ingredients together until thoroughly combined. 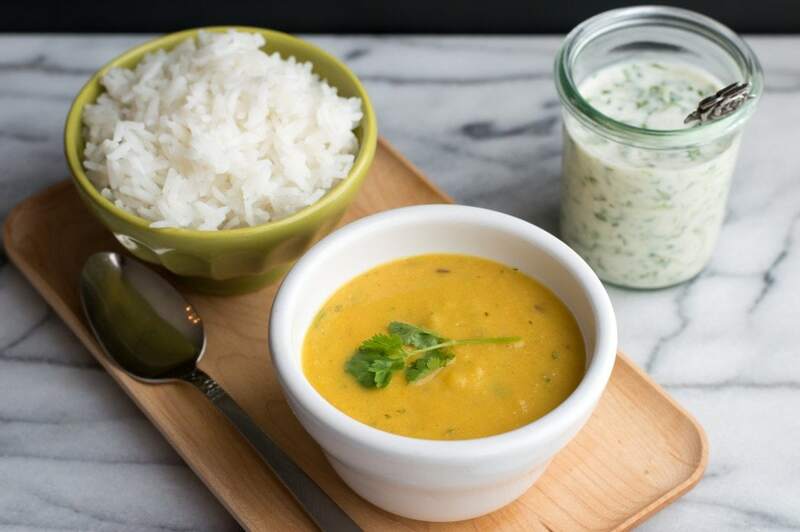 There is nothing better than a good dal and your recipe looks fantastic . I will try it soon. 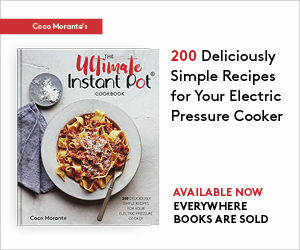 This is a delicious recipe! Thanks for sharing. You’re welcome, Sarah, glad you enjoyed it!